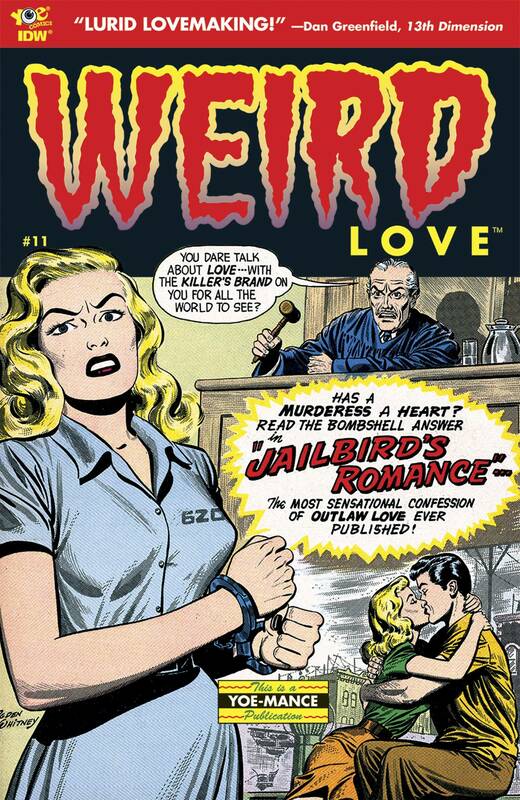 The cover story alone, 'Jailbird's Romance', would cost you a couple of grand on the collector's market! It's drawn by the demented duo Ogden Whitney and Richard Hughes. More bizarre stories include 'It's Like Love, Pussycat!' 'Pick-up,' and in 'Savage Kisses,' a knife-wielding, half-naked, island girl fights Nazis and wins the heart of an American soldier. Then, it gets worse, with the most sordid comic story we've ever printed!